We need to make time for the arts. 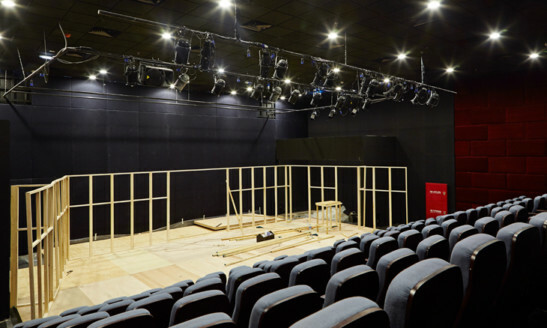 This year, the seventh Short + Sweet Dubai theatre festival at The Junction took place. The festival was launched in 2013 in Dubai — a local edition of an international idea, which first took flight in Australia in 2002. On a cold breezy Saturday afternoon, as I was pondering on creating a plan for my busy schedule, I got a call from an old friend of mine who had already brought me a ticket to watch his theatre act at The Junction, Dubai. I was intrigued by the idea of watching a performance without any retakes in midst of a live audience. As I was driving inside the premises, I rolled down the car window. I noticed huge crowd of immensely talented people laughing, reciting lines, chatting over a cup of warm tea, taking a peak at the art gallery nearby, and more. I absolutely love the way the venue has a vibrant ambience, beautifully framed pictures of classic movies and an area for refreshments. It was a huge theatre with a large stage and comfortable seats. It was very well organised. Each act lasted for 10 minutes and were in different languages. As lights went off, as I was watching all the five acts at a stretch, I realised that so many individuals have talent and this platform gives people the motivation and opportunity they need to sharpen their craft. I was completely exhilarated to watch all the nine performances. I made the right decision to attend such an event. The scripts reflected social issues and were enacted by highly talented young people. - The reader is a marketing professional based in Dubai.